Tata Motors has opened bookings for the Tata Harrier SUV today. 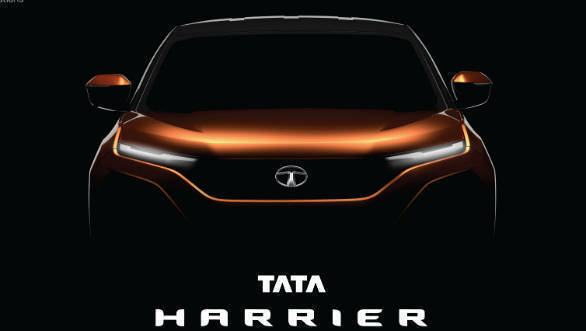 The SUV, based on the Tata H5X concept is open to pre-bookings of Rs 30,000 on www.tataharrier.com as well as at Tata dealerships across the country. Tata Motors seems to be looking to cash in on the festive season, wherein sales of vehicles are higher than the rest of the year. 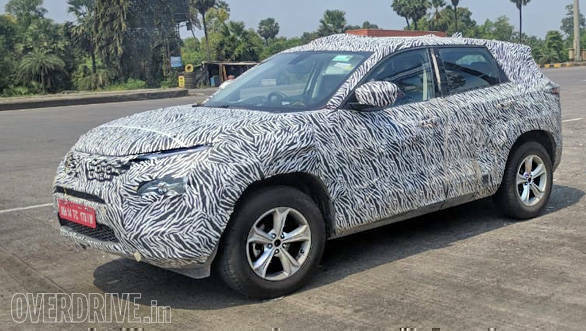 The Tata Harrier SUV, based on the Land Rover D8 architecture, will only be launched in January 2019, with deliveries slated to begin a month after launch. 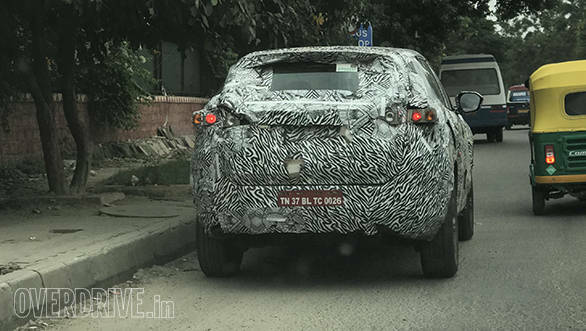 OVERDRIVE recently spotted the SUV undergoing tests, and this isn't the first time we have spotted the Harrier undergoing tests. We suspect it'll be slightly bigger than the Jeep Compass but falling a bit short of the Hyundai Tucson. "With the rising excitement and consistent demand from our discerning customers to book the HARRIER at the earliest and be amongst the early ones to receive deliveries, we have taken a conscious decision to open bookings in the festive season. With Turnaround 2.0, we have already begun our journey towards winning sustainably in the passenger vehicle business and we are confident that with the introduction of this new class leading SUV, we will only soar higher," said Mayank Pareek, president, passenger vehicle business unit, Tata Motors. The exterior design of the production car will follow Tata's Impact Design 2.0 showcased at the 2018 Auto Expo. So, a slimmer front grille and lights, aggressively contoured side profiles, steeply raked roofline and large wheel sizes can be expected. As for the interior, it will have to be the best ever fitted to a Tata car and build on the kind of progress that the firm has been making in this aspect. The production Harrier (previously the H5X concept) will be based on Jaguar Land Rover's entry-level D8 SUV platform, variations of which support cars like the Land Rover Discovery Sport, Jaguar E-Pace and the Range Rover Evoque. 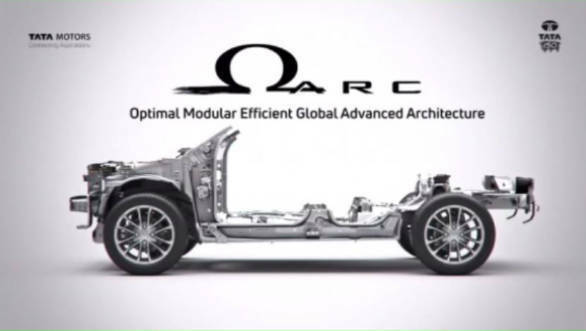 Tata's version, called Omega-Arc (Optimal Modular Efficient Global Advanced Architecture), will involve the use of cheaper materials and components to keep costs down. Tata Motors recently also revealed a new engine family that will power the upcoming Tata Harrier SUV. The company has already revealed that details of the Land Rover-derived Omega is the architecture of the new SUV, and this reveal now paints a clearer picture of what this new flagship will be like. 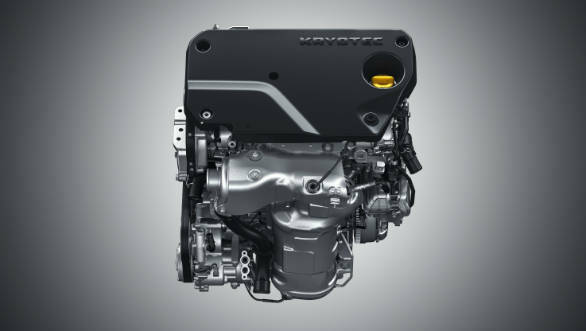 The new engine is called the 2.0-litre Kryotec and is derived from FCA's Multijet II motor seen on the Jeep Compass. This four-cylinder, turbocharged motor is expected to produce around 140PS in the 5-seater variant that is set to debut first, the 7-seater Harrier will likely make 170PS. The new motor will have an electronically controlled variable geometry turbocharger (eVGT) for better responses. The engine has also been adapted to run on varying drive modes via the terrain response system that the Harrier will come equipped with. The engine will be mated to a six-speed manual and a six-speed automatic. The 5-seater should come in the Rs 9 to 12 lakh price bracket.